“I love Indian films, the women are gorgeous, the costumes snazzy…Ah! They are such great escapes.” I had barely stepped into Hobart, Australia’s second oldest city, when Cheryl Dix of Tasmania Tourism had me nostalgic in one long breath. She does not look at the film’s subtitles, she guesses the story and ogles at the splendour. And when she is not watching Bollywood dramas, she rustles an Indian meal peeking into sepia dog-eared Madhur Jaffrey cookbooks. Home was seven seas and several thousand miles away in another hemisphere but in an alien land Cheryl’s vignettes took me by surprise. I was already feeling home in what Lonely Planet calls the third most photogenic city in the world. Hobart certainly lives the tag – miles of steppes, fattened sheep lolling on the greens, red roofs infringing the blue of the beryl sky, statuesque pine lording over barren scraps and vines curling up wantonly on tidy trellises. In Hobart there was not just a nip in the air, it seemed tipsy with all the grapes that has been recently harvested to make splendid wine. All around I could see the burnished orange of the grape leaves and at every bend a surprise seemed to wait. As the winter cut through my merino, I longed for a cuppa. In what looked like a non-descript café, I never thought I would meet her. The Hindu Goddess, that is. But I did, for Peter Seekings of The Maze Tea House had sung paeans to her in his beautiful calligraphic hand. Laminated and written in black, the ditty sat by urns full of coffee beans and shelves laden with flaky croissants. Across the street, in an antique shop a man in pink sweat shirt was sticking a pricey tag to a mahogany chest bought by an English armyman in India decades ago. So much of India in less than an hour was the most any alien city had ever crammed for me. While Cheryl drove me to the Bongrong Sanctuary where I could feed Forester kangaroos and cuddle a koala, she stringed stories about disasters in the kitchen while making Indian sweets and the mango pickle that turned out fabulous. All that talk had me hungry; I knew not where to go, Cheryl did. To Meadowbank Estate Vineyard Restaurant owned by winemaker Gerald Ellis who lives in a 6,000 acre farm; the drive from his thicket gate to the porch is more than a walk, it is 7 kms long. Gerald’s house could almost fit a stubby town! But there is more than great food in his restaurant – an unusual art gallery that has stark walls, for Tasmania’s history is painted on the floor’s wooden slats. “Mera naam Paul hai…” I thought my ears were ringing with known sounds, but there he was carrying my mushroom tartlet on a black tray. In one large syllable, that mera naam in Paul’s baritone suddenly drove away all strangeness from a foreign land. Even the forlorn streets of Hobart looked so apna, in haste Tasmania looked like a neighbour’s house and I was happy being there. Paul works for the restaurant and saves to get back to India; his last sojourn stretching to six months. Arranging the cutlery neatly on the table, Paul tells me how much he loves India and how quickly he picked up Hindi to get by in the chaos of a crowded Indian city. In Tasmania’s capital, I did not hear another word in Hindi, but when at the Lark’s Whisky Distillery, Bill Lark talked of the spirits made in India and when at the Sorrel Fruit Farm, Bob Hardy lauded an Indian strain of mustard that acts as a natural fumigant in his 10-acre fruit farm that has 30,000 strawberry plants and 2 km of berry trellises, I certainly felt pumped up. On the cobbled pathway, I was wobbly with pride. Perhaps that day had begun with a certain Indian-ness that I start missing after a week away from home - in the sea of blonde heads, I look for a thick plait decked with jasmine that you can smell from two miles away; after all the pasta and hash browns on my dinner plate, I long for the aroma of cardamom and the scrumptiousness of a pakora. I missed the jasmine but I did find the pakoras in The Spice, a restaurant that adds to the list of innumerable Indian eateries in town that are often crowded with Australians who have taken to Indian cuisine with glee. Hobart sleeps early, with dark a certain calm descends on the historic town, but roughly two-hours away, the Fairy penguins have a chore to complete at night. They need to return home to their burrows after a day out in the sea. At their rookery in Bicheno, the tiniest and noisiest of all penguins waddle their way up, lazing after a few steps to catch a breath. Also known as the Blue penguins because of their iridescent blue plummage, these penguins that are just about 16 inches tall and a kilo in weight are only found in the coastlines of southern Australia and New Zealand. That hour-long night safari is an experience to die for. 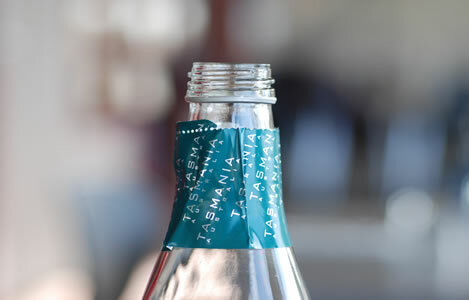 As I fastened my seat belt and looked out of the car, a random thought gnawed at me: I thought that was the end of my Indian connection in Tasmania. I would see no more of home there. But I was mistaken. Once again. At the Salamanca Market, an Australian woman in silk-trimmed skirt was selling Rajasthani puppets and sequinned bags and at The Islington, a boutique hotel, Nicholas, one of the directors, looked back with love at his days in Mumbai and Delhi, of all the restaurants that he frequented and all the places that he had trudged. In Tasmania I did not gamble at Wrest Point, Australia’s first casino, I did not walk up to the Wineglass Bay said to be one of the 10 best beaches in the world, I did not kneel and sing hallelujahs in Australia’s oldest existing Catholic Church nor did I peep into the Richmond Goal that once housed bushranger Martin Cash. But thousands of miles away from home, sitting by the fireplace in The Islington where an original Picasso adorns the wall, it felt like home. It felt like family. That feeling, that alibi is an entirety by itself. And calls for an encore!